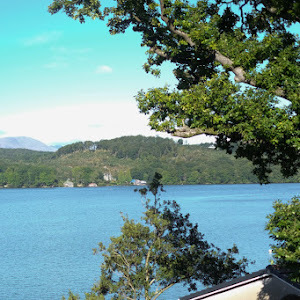 I have returned from the dead (somewhat)! 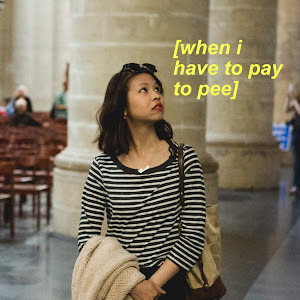 Winter makes me incredibly uninspired because I am ill so often, so I took some time out from blogging to do Adult Life Things, and stayed away from the manic post-Christmas shopping guides. A mini catch-up if you care: a lovely birthday trip to the V&A for the Winnie The Pooh exhibition; growing up they were my favourite stories and I picked up a sweet lil' illustration that I've since framed (you can see it in the picture) and an enamel pin which now has a pride of place on my oversized beret, binge-watched Show Me The Money 6 this entire week (#레츠기릿 #differentrnb you guys) and battling yet another illness in the form of a stomach flu. 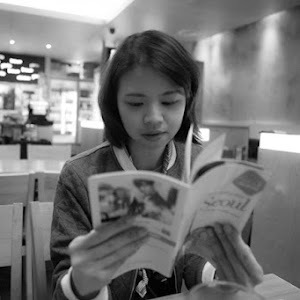 Ironically, I'm actually in Malaysia right now but the last couple of months with winter has been hard on my skin this year, particularly when it comes it redness and irritation. It doesn't help that the pollution in London gets pretty bad! I wanted to branch out (and because I take zero outfit shots in winter because it's way too cold ya get me?) 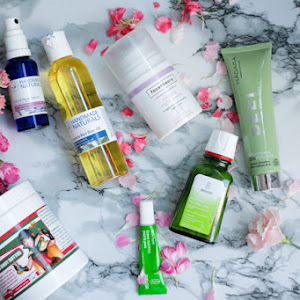 into sharing some love for skincare... 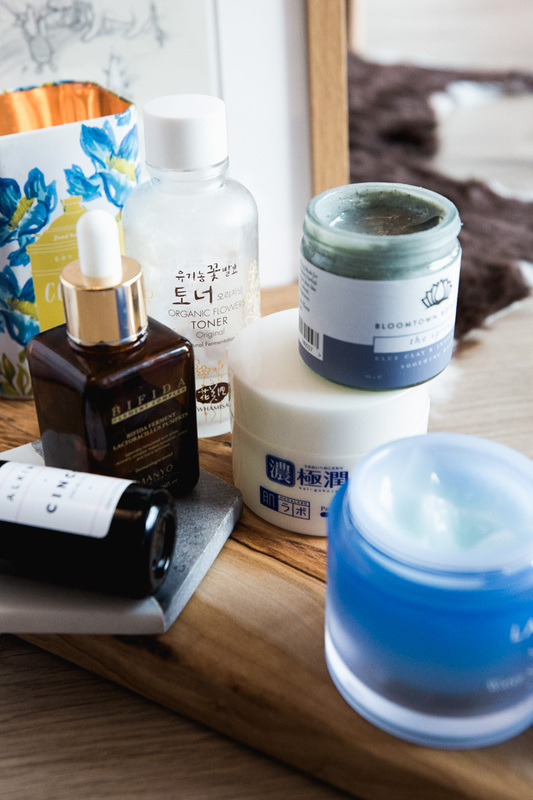 I don't talk about it much on here but I'm a big fan when it comes to discovering new products, especially with more k-beauty brands being more accessible and cool independent brands that are popping up in the UK. I have combination skin, which means I get oily quick but also have extremely dehydrated skin during winter time. 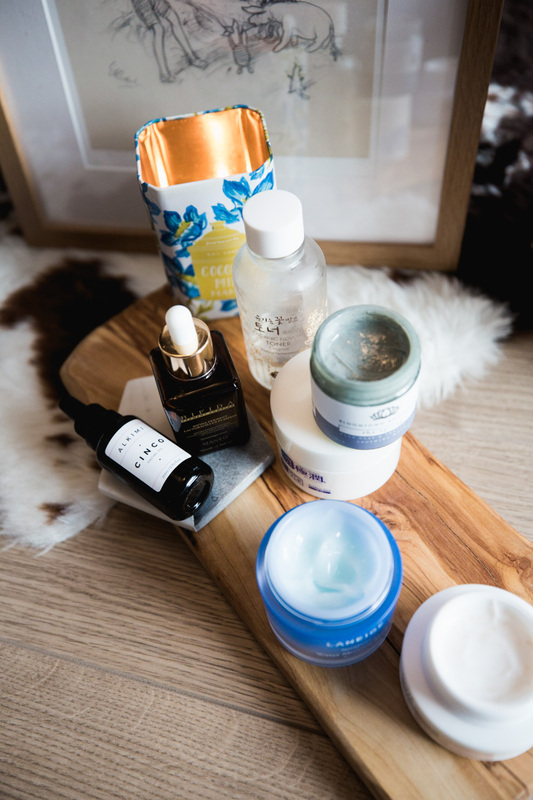 I used to think that using a thicker moisturiser was the key but have learnt my lesson that gel-like formulations worked best with my skin type, with many layers of moisture locked in to get that optimal hydration. Base layers are key to achieving the ultimate healthy glow and I start off my routine with a clean face and my Whamisa Organic Flowers Toner (£33). I was introduced to this brand ages ago but only started using it steadily last year. It has a thicker consistency which is fabulous to nourish my sensitive and dehydrated skin, smells amazing as it's full of ferments and ingredients like liquorice root and I find that this toner really helps starts off my entire routine. It's not the cheapest, but I think my skin likes being pampered, ha. 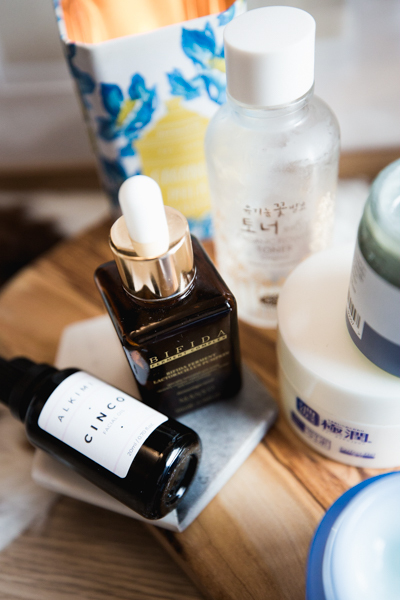 Serums and oils get a special shoutout when the air gets chilly and windy, and I find sandwiching serums and oils between a toner and moisturiser is how I can still get ~dat glow~ without looking dull or grey. 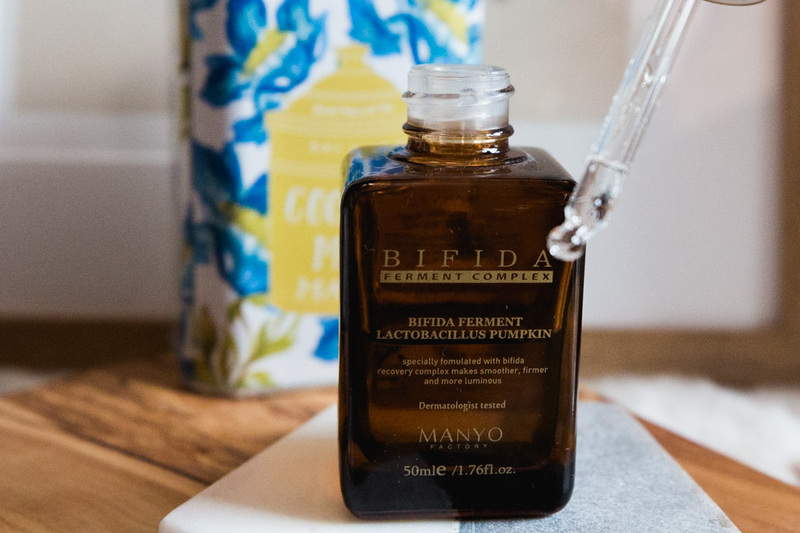 My skin *loves* ferments and I'm no stranger to probiotics in skincare (see my Aurelia shoutout from the previous year) and the Manyo Factory Bifida Essence (£32.50 or get 10% when you join the mailing list) has a perfect watery texture which isn't goopy (like some of The Ordinary products) and sinks in marvellously after a warm shower. 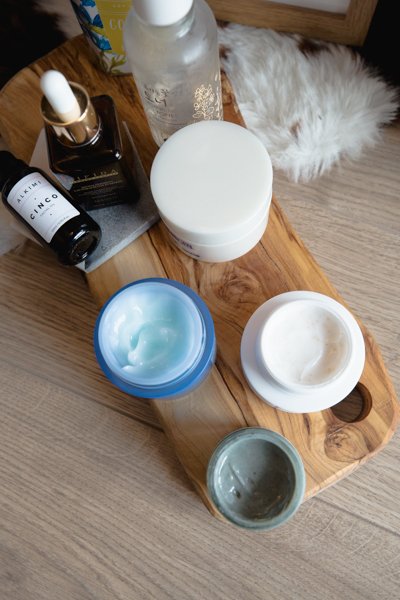 Ferments are supposed to help the absorption of product and smoothen complexion and I have to say although it's been a slow process, I can definitely feel my skin getting less bumpy over the past six months since I started using it. I actually won the Manyo Factory Bifida Essence at the #fellowshipoftheskin giveaway, and I haven't looked back since! 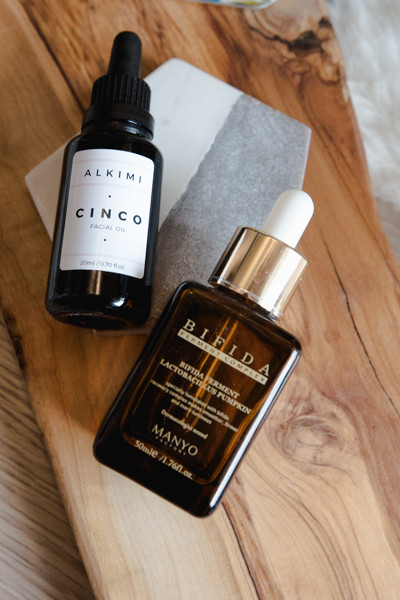 Everyone's favourite enabler Shereen aka thewayofthesnail (HAIII) has made me a lover of Alkimi's Cinco Facial Oil (£35). Alkimi is an independent brand founded by the very amazing Natalie who formulated this wonderful bottle filled with Omega 3- and 6- fatty acids (amazing antioxidants and skin destressors), in the company of cumin seed oil (improving cell growth and skin texture), rosehip oil (heals damaged skin and great for hyperpigmentation) and many more star ingredients. I picked this up during their Black Friday offer and had 30% off, so keep an eye out for deals, I really do love massaging this in at night before bed and it absorbs so well. Pss, all these products above are cruelty-free! My #1 open secret in winter: I mask every single day. Yep, you read this right. Often it's usually a simple sheet mask which takes about 20 minutes and it helps my skin reset after a rough day with the heater blasting at work, the pollution and the city winds. My skin has seen a dramatic improvement ever since I started masking regularly, and who doesn't like waking up to glowing skin? But having masks with targeted functions are equally important. 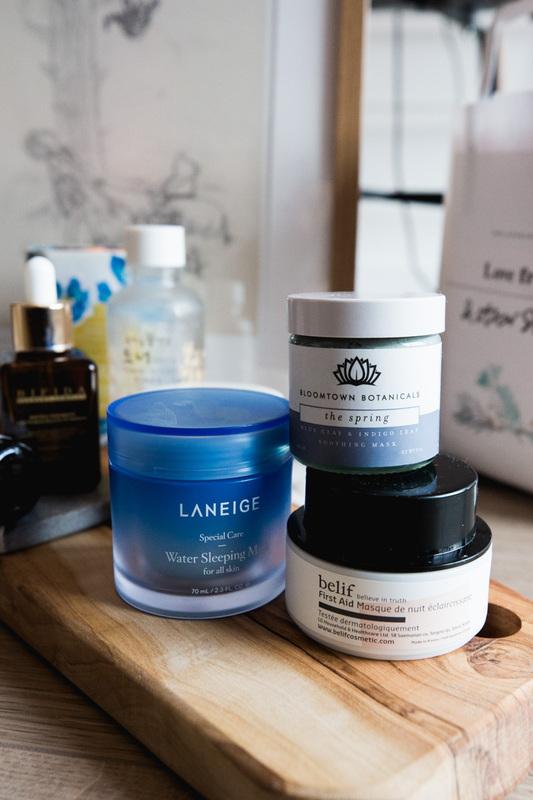 Depending on the skin problem, I rotate different masks in my routine if I need more moisture, exfoliation, detoxing or calming down redness. The Laneige Water Sleeping Mask (£16) basically speaks for itself, and I can't quite believe how long it took me to get my hands on this cult favourite. 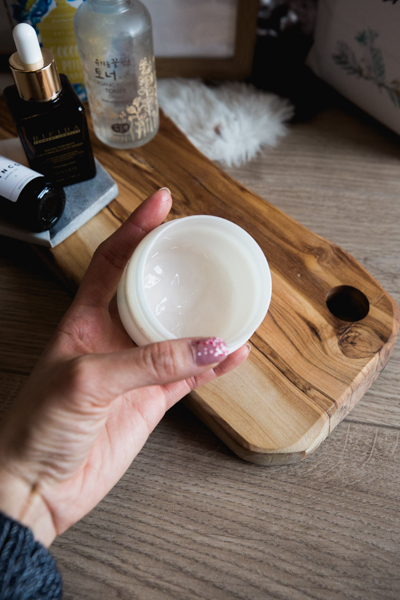 It helps retain and lock in moisture, and is suitable for all skin types, which comes in a gel-like form which goes on my very last step in my night routine. The smell is non-offensive and you only a teeny bit for your entire face, and I wake up with no tightness in my face. I use this about 2 times weekly, either on days after I use my chemical exfoliators or if I need a little boost after a cold night. 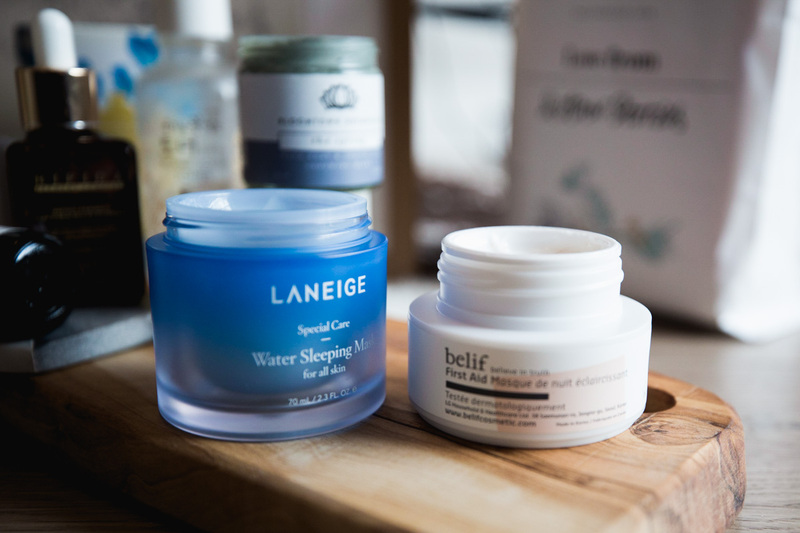 Belif is truly a great skincare brand and one of my favourites. I own multiple masks from the brand but the First Aid Overnight Brightening Mask ($34 / £24) is hands-down my most coveted face mask during winter time. I LOVE THIS SO MUCH. It smells amazing, for one, as it contains a mix of lavender extract, oat kernel and beta-glucan – a tub of powerhouse to sooth and calm any irritation. The consistency is similar to Laneige, and doesn't smell overpowering either. I really dislike artificial fragrance in my skin products and this nailed it perfectly. Fun fact: I love opening my bathroom cabinet and catching a whiff of all my Belif products, is that super weird? The first time I used it I literally wow-ed in the mirror, because I've never used a mask which actually made my skin so soft and smooth. It's not as popular as the Belif Aqua Bomb range but this definitely takes top place in my current masking routine. Finally, I was introduced to this wonderful brand called Bloomtown from Twitter and their founder Priyanka is the loveliest person ever, after chatting to her in a couple of tweets (ngl I am easily swayed by friendly conversation). 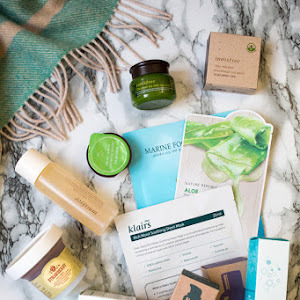 Another wonderful independent brand to add to my collection, I was so happy to discover The Spring blue clay & indigo leaf soothing mask (£12). 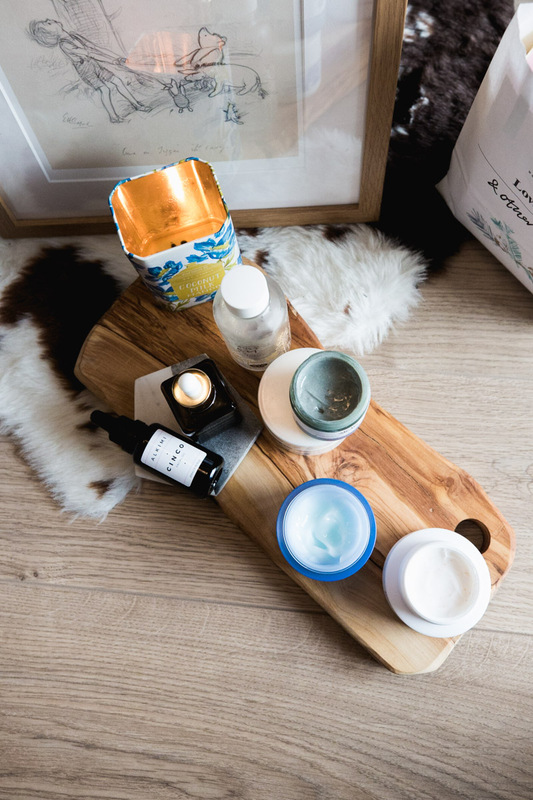 It comes in a glass jar (yay for the environment) and while it can be tricky spreading it out as it contains plant glycerin which makes the texture slightly elasticky, the blue clay is brilliant at binding onto toxins and drawing out everyday toxins. It's a lush gel formulation with actives like Arbutin and Vitamin C (brightening scars), as well as different molecular weights of hyaluronic acids (which helps penetration of moisture and locking it in). It's a very basic product, but it works. I picked this up while in Japan last year and it's done wonders for me. 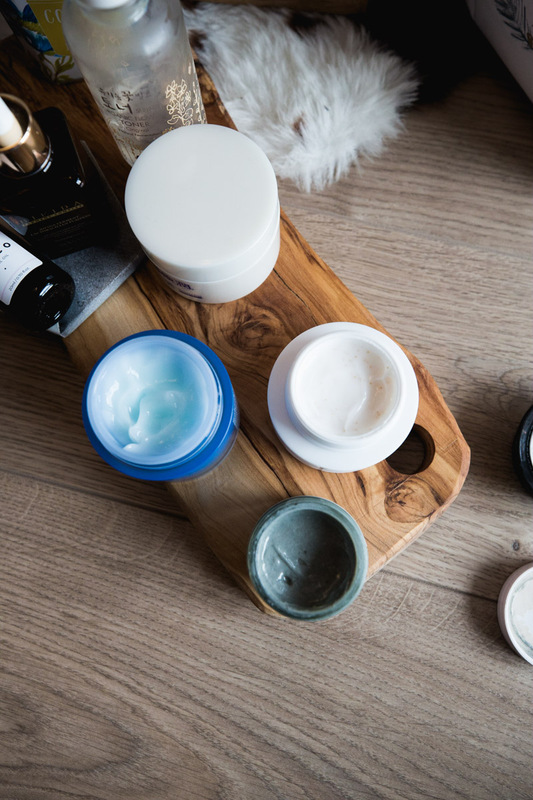 Moisturisers without essential oils are good for sensitive and combination skin like mine, as it's less likely to provoke any sort of irritation or redness - which has often been the case with my moisturisers in the past. The fact that it also doesn't irritate any acne is amazing, because it's all about maintaining that moisture barrier am I right? And there you have it, my secret stash of products! 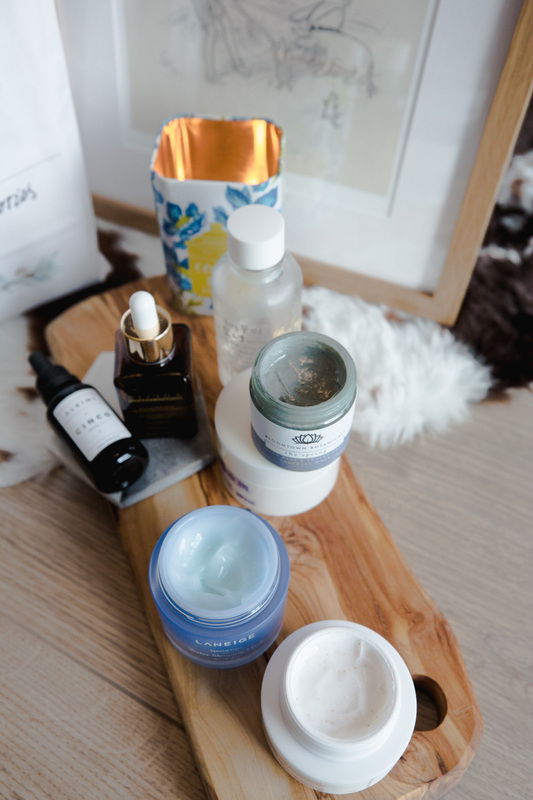 I was a bit nervous publishing this because it's not my 'normal' post and skincare is very personal so I was slightly hesitant... What are your favourite winter staples? I'm always on the hunt for the next big thing!